Our products are the highest quality on the market and are actually designed to target and kill scorpions even after it is dry so you have long lasting protection from these dangerous critters! 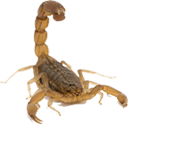 Scorpions prefer to live in very dry climates like the one's right here in Gilbert, Chandler and Phoenix, Arizona area. Despite this, however, they do not like to lose moisture from their body and will hide in the shade during the day under rocks and in holes. They'll get most of their water from their prey. Scorpions are a concern primarily for their sting, which contains venom, rather than their actual bite. Most scorpion venom in the U.S., however, is not seen as a significant medical threat to the average person. Yet, people can experience swelling at the spot of the sting, or, in more severe cases, numbness or convulsions. 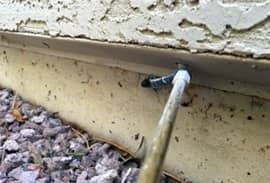 It goes without saying that scorpions pose a huge liability to family and visitors coming to your property. 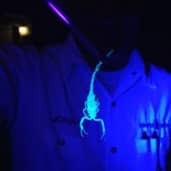 Rather than attempt to hunt them down yourself, allow us to use our specially designed scorpion treatment procedure to eliminate them safely and properly from your home. Call us today for a free consultation!